Just getting by and getting ready to write some stuff tonight.. Had an interesting night last friday.. 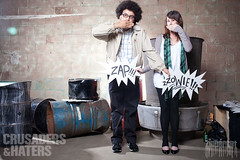 Attended the Crusaders & Haters party at Royal/T.. brought to you by Zippercut . The party was pretty amazing.. The more I go to these events, the more i see it provides a playground for people to show their creative/crazy/inspiring side, which also helps me write.. 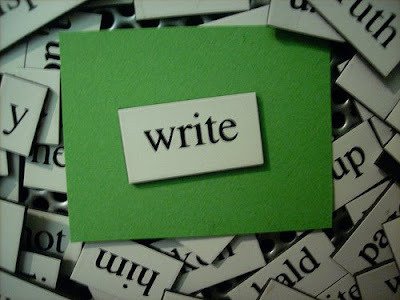 Writing is life..
Wishing in the future, I'll be able to purchase some kind of video camera. Unfortunately, for the way things look financially for me at this point of my life, It'll be a while. I would sure love to post videos or take awesome pictures of my daily life and provide a better idea of the things that inspire me to write. 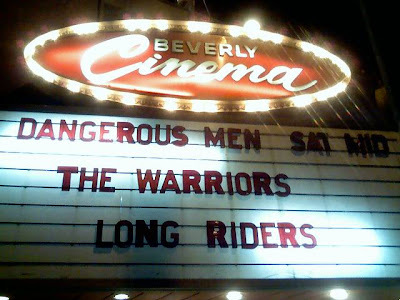 But, the highlight for me this passed week was a screening of The Warriors.. A cult classic. Not only there was a screening, but also a special guest appearance of Ajax (James Remar) Mercy (Deborah Van Valkenburgh) Cochise (David Harris). The interview of the three of them was very informative and so interesting for someone like me. They basically talked about all of the side stories that went on during the making of the film. Also, delighted to hear about how Walter Hill directed his actors which also I gain some knowledge. No, I'm not going to mimic his style or come anything close to his style.. I direct my own way .. Hopefully in the future I'll get into talking about directing films or actors.. Not being afraid to get your vision done. Not getting too sidetrack from this topic... This was a great night.. Lately, I been taking a B & W Photography Class and I love it! So, I'm always looking for opportunities to take pictures of the happenings of Los Angeles. Tuesday, I was a victim of the Nike-Lebron-James picture taking P.R. move. There was this small mini concert in culver city where a J-pop star (Kanon Wakeshima) was going to make an appearance for an album release party type of fiasco. Believing this was an awesome opportunity to take some photos and practice the art of photography. . After only taking one picture which you see below... A hand grabs the front of my camera, a female sony worker (yes, a sony product) tells me with authority that I was not allowed to take photos of Kanon. To make things short, after three songs ..the concert was over.. . The performance was very entertaining.. Another reason that I wanted to attend, its not very often you see someone using a cello instrument in a rock/pop type of act... And, just one more reason to throw out there.. I have a script in the works where it involves a female singer.. And, just seeing how things are after the show. It gave me a great perspective of the aftermath, clean up, crew working to strike down. How Kanon Wakeshima exits the building with her handlers.. It was quite helpful.